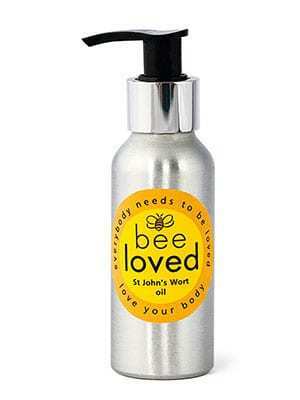 The ingredients in Bee Loved’s St. John’s Wort Oil grow wild and free on the west coast of Ireland in Kinvara, Co Galway. Used for generations to relieve nerve pain and soothe inflammation, we soak the fresh St John’s Wort herbs in natural oil on a sun-drenched windowsill until the healing ingredients turn the oil crimson. It is very kind to tired, achy legs at the end of a long day’s work, or a long night’s dancing!